Saki-Hikari Colour is a high quality diet for promoting natural colour and beauty in championship grade or potential Koi. It promotes excellent colouring from the Spirulina and Zeazanthin which gives vivid colouring to the red areas (Hiban) without impacting on the white areas (Shiroji). It also includes Hikari-Germ which helps to balance bacteria levels. All championship grade Koi or Koi with championship potential. 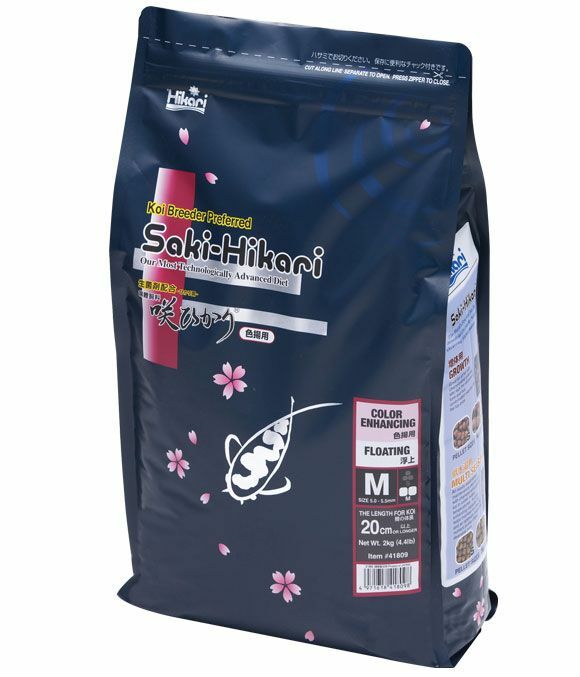 There are currently no questions for Saki-Hikari Colour Fish Food - be the first to ask one!